Samsung Electronics and KDDI today announced the successful demonstration of their 5G capabilities by working with the Advanced Telecommunications Research Institute International (ATR) to deploy ultra-fast communications at Maehara Elementary School in Tokyo. For the first time in Japan, 5G was utilized to help students download contents in class using UHD, powered by the infrastructure of next-generation technologies. 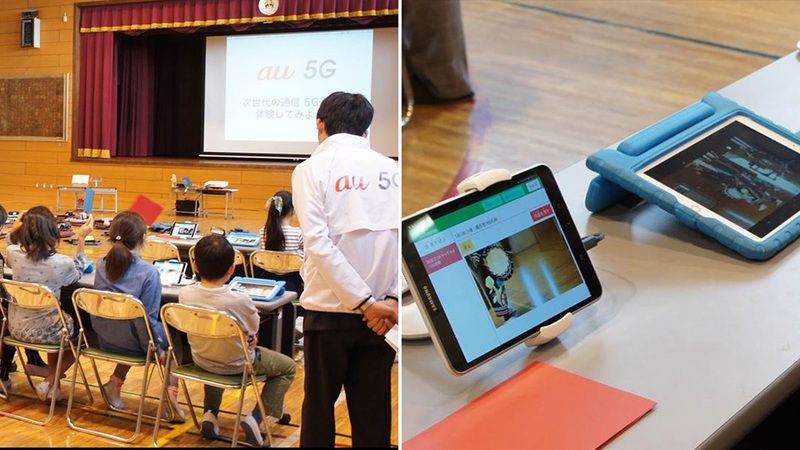 The demonstration, made possible by Samsung’s 5G solutions, was conducted from November 21 to December 12, 2018 at the gym inside Maehara Elementary School. In order to showcase 5G capabilities, the gym was set up with Samsung’s 5G network using a 28GHz band to enable transmission of UHD videos in a school setting. The demo involved comparing the difference between 5G tablets and Wi-Fi tablets in their ability to download and play back videos. During the demonstration, students were given a chance to create their own videos and experience high-speed and large capacity transmission of large video files. In doing so, they verified the capabilities of 5G for this type of use case. KDDI was responsible for assessing and designing the 5G areas used in the trial and ATR provided the testing infrastructure. Leveraging 5G will enhance various classroom activities and ultimately offer a whole new academic experience to students and teachers. During the Samsung and KDDI demonstration, large UHD videos were transmitted without interruption, despite requiring large amounts of bandwidth. This allowed the children to enjoy a seamless connection while engaging with the contents.